In a large bowl, whisk together vinegar and oil; season with salt and pepper. 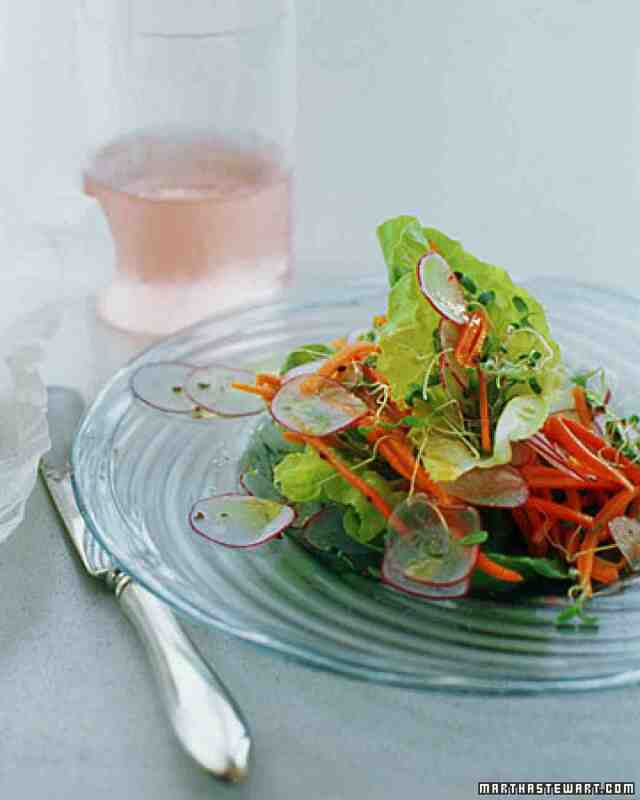 Tear lettuce into bite-size pieces and add to bowl along with radishes and carrots. Toss; season with salt and pepper. Divide salad equally among four plates. Serve immediately.